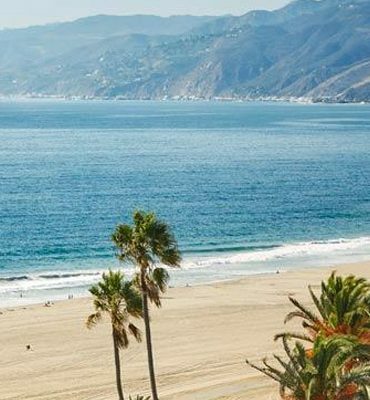 From the moment you arrive at Fairmont Miramar Hotel & Bungalows, with its beachfront position and chilled Santa Monica vibe, each fibre in your body starts to relax. 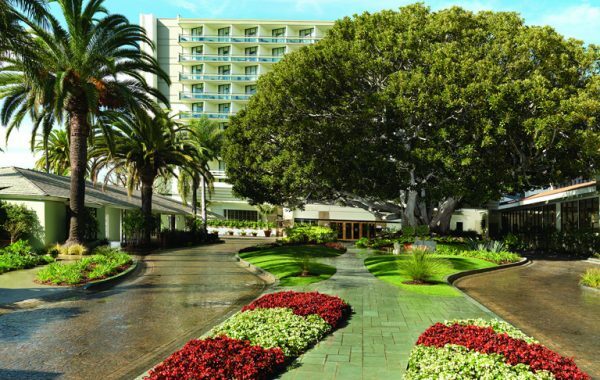 Having travelled there from the Hollywood hustle and bustle of Beverly Hills, it was a welcome retreat to step out of my car and in the air-conditioned lobby, to be greeted by the cool Californian charm of this hotel and its staff. 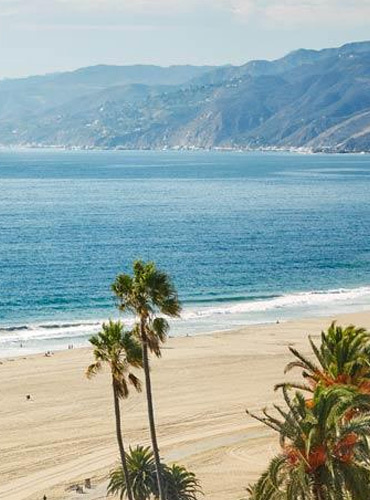 From the exquisitely manicured grounds to the casual elegance of their guest rooms and suites, this luxury Santa Monica oceanfront hotel will challenge your senses and provide you with an unforgettable experience. Combining historic elegance with modern appointments, this hotel offers a beautiful swimming pool, extensive meeting facilities and a well-equipped Health Club along with onsite restaurants, bars and a club. 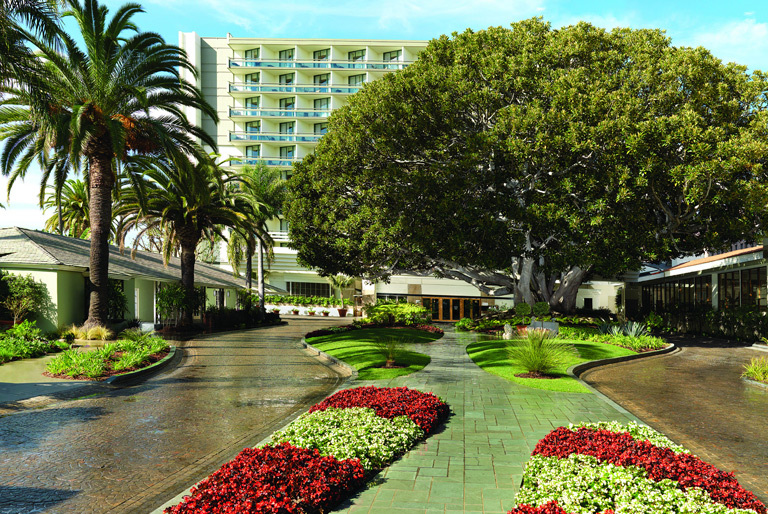 Arriving on a bright crisp day, sun glittering through the palm trees lining the avenue and driveway to the hotel, the craziness of the Golden Globes was a distant memory. Upon entering the lobby, I made my way to front desk and the warm welcome from Jackie Kerns, Public Relations Manager. 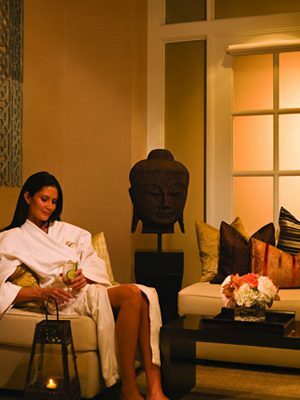 After checking in, I was shown to my suite via the elevators located near the spa. 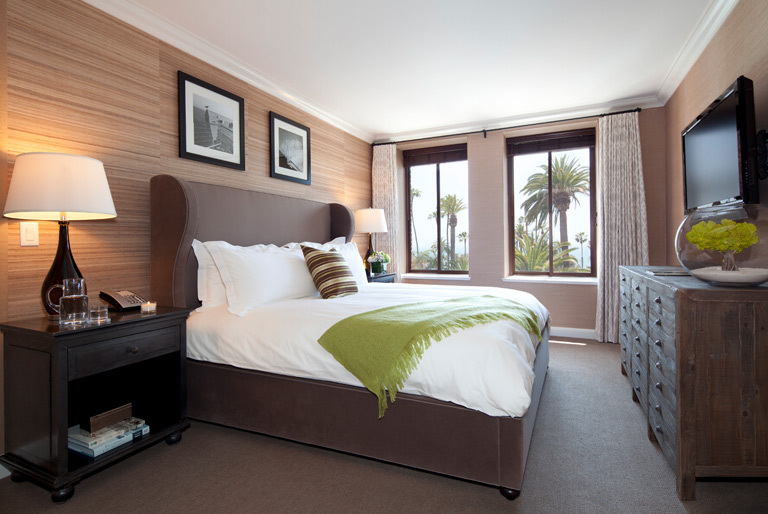 At Fairmont Miramar Hotel & Bungalows, there are 302 elegant guest rooms and suites. 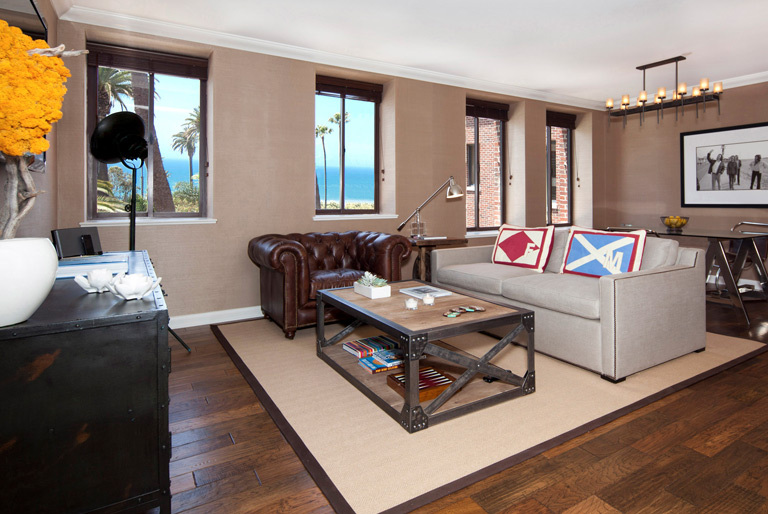 The ten-storey Ocean Tower reveals spectacular views of the Pacific and Santa Monica Beach, while their six-storey historical Palisades wing has traditional guest rooms. Nestled among tropical flowers, palm trees and tranquil waterfalls, there are also 32 luxurious secluded garden bungalows that are ideal for family accommodation and feature exquisite rooms with French doors that open onto private patios. 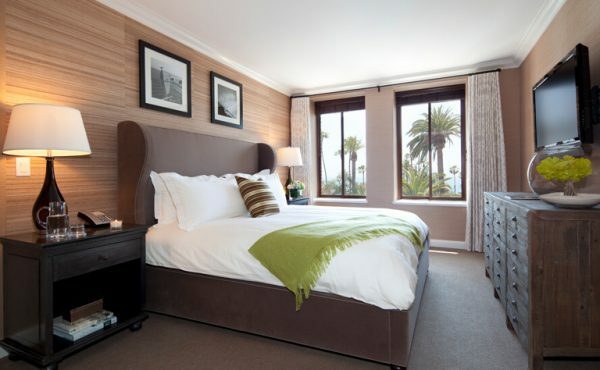 My room was located in the Ocean Tower and, upon entering my room, I instantly felt like I was in a beach hut, the muted blues with nautical references and white washed wood created a real homely feel, like this was my own beach hut on the Santa Monica beach and I had just come back from a dip. The lounge area was spacious with a desk, bar, widescreen TV and a cloakroom. Through the lounge was located the bedroom, decorated in warmer tones like a Californian sunset with oranges and reds with darker woods, and a massive bed, so high it required a running leap to mount it, but so worth that leap as it was soft and welcoming. Off the bedroom was the expansive bathroom in white marble and glass with all the amenities one would want from such a hotel. My next stop was the hotel spa, Exhale, which is an award-winning spa therapy and fitness class center that inspires guests to revive, restore and transform. 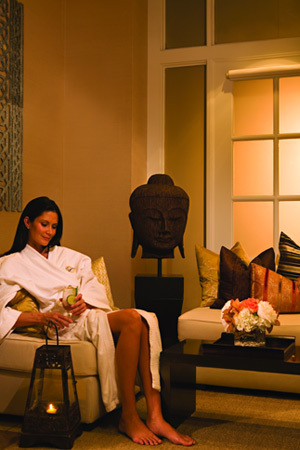 Exhale offers unparalleled mind-body programs within a relaxing and uplifting sanctuary. Just what I needed after a tough few days, I was booked in for the Exhale Power Facial which boasts to be “perfectly customizable for powerful results”. I was excited! This facial therapy adapts to fit your every concern, from acne to ageing to sun damage, while you experience complete tranquility. It begins with a specially selected exfoliating mask to prepare your skin for extraction and detoxification, and concludes with either Cool Beam or Ultrasonic therapies based on your desired result. I have very sensitive skin so explained this to my therapist, who inspected my skin with a high intensity lamp and then made suggestions as to which lotions and potions she was going to use for my treatment. I sat back and relaxed as cream after cream was applied to my skin. One in particular was amazing as it smelt like spiced pumpkin, good enough to eat! The therapy finished with the Cool Beam, which was a somewhat alien experience but felt soothing on my skin. My complexion after the Power Facial was sublime, I was glowing, and after days of late nights and early mornings, I was glad to see the dark circles and dull skin cleansed away. Buffed and polished, I was ready for my night out on the town at W Hotel Hollywood with fellow Bespoke writer Joanna for a spot of dinner and jazz. 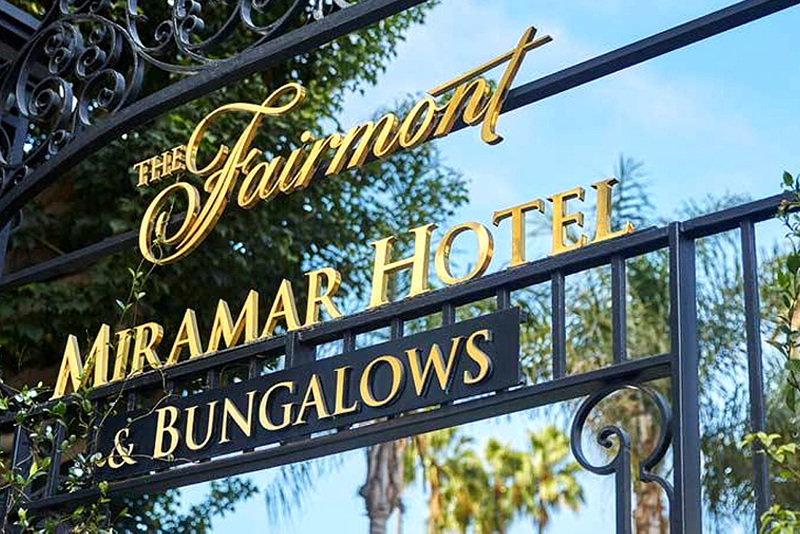 Returning to the hotel, I was glad to be back in the tranquil space of Fairmont Miramar Hotel & Bungalows. 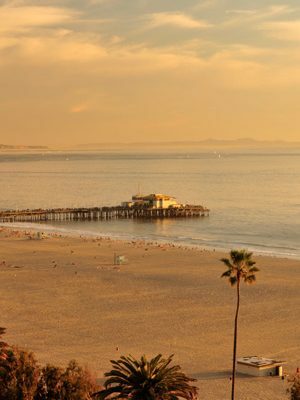 As fun as it is to dance the night away with Dr Dre and Snoop Dogg, I was craving my comfy bed and the sound of the ocean as I drifted off to sleep. Drawing the blinds over the dark night sky I was excited to see what the next day would bring, for the promise of a Santa Monica sunrise from my vantage point in the Miramar Hotel & Bungalows not only signalled a new day but a new adventure and who could want for a better starting point? 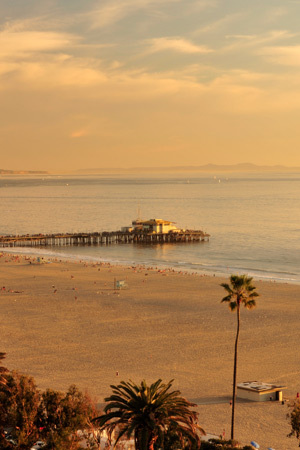 Whether you venture out to Hollywood or Downtown or just want to stay local to Santa Monica, this hotel has a lot to offer irrespective of age. You can relax by the pool or go clubbing at Bungalow till the wee hours, I should know I did both and still could not wait for the next sunrise.